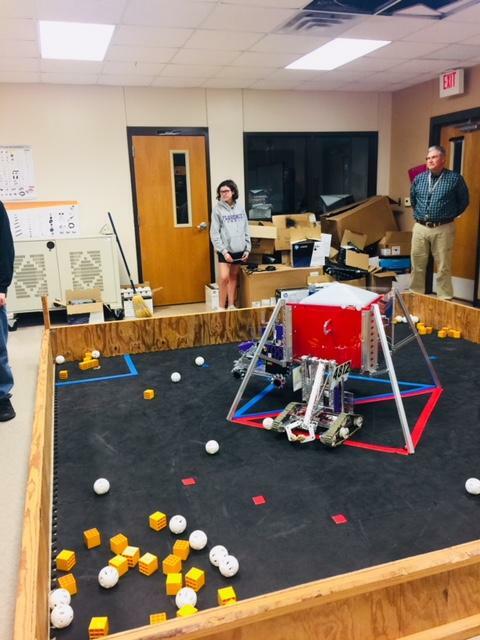 The FHS Robotics Team gave a demonstration to the Board of Trustees at the March meeting. 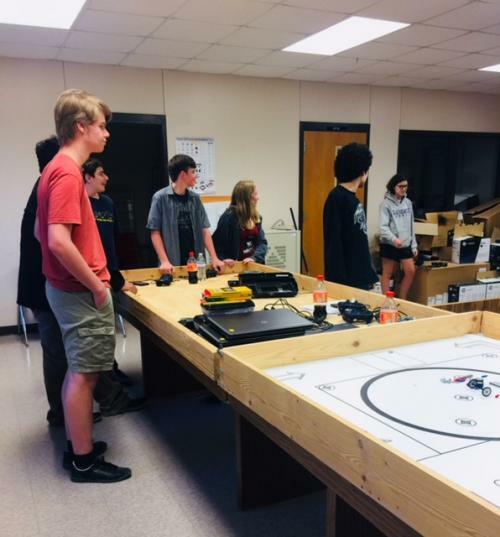 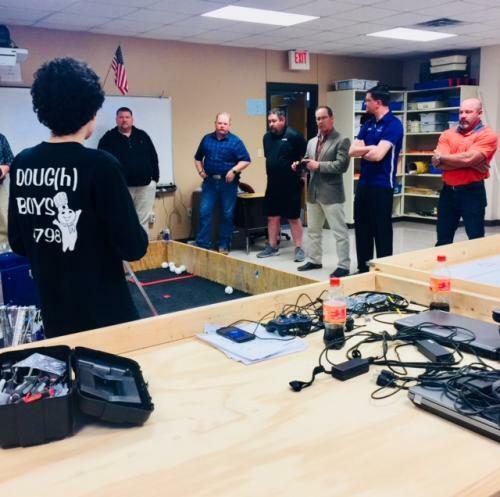 Led by Dr. Willingham, the students did an excellent job of explaining how they were able to build and control their creations and demonstrated different maneuvers required in competition. 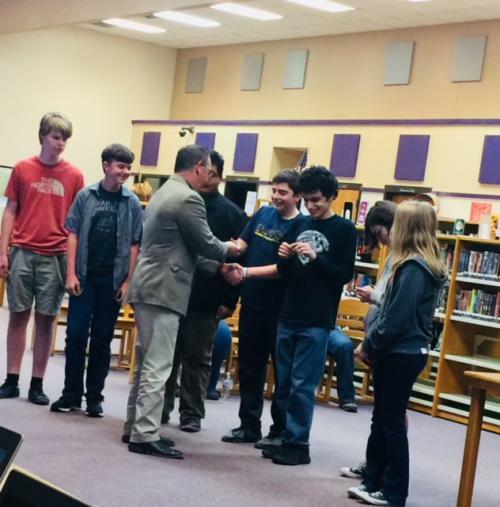 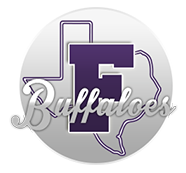 The students were each given an FISD challenge coin on behalf of the Board.